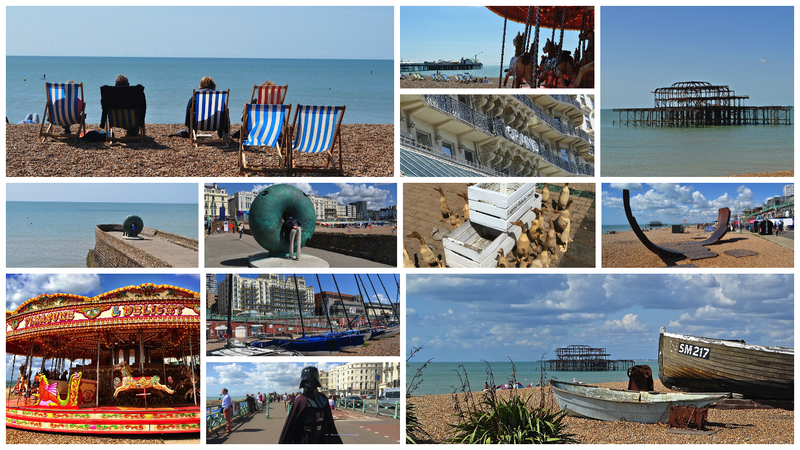 I used to come to Brighton as a child but I have to admit, I haven’t visited for a while so one summer, I took a day trip to visit the beach. 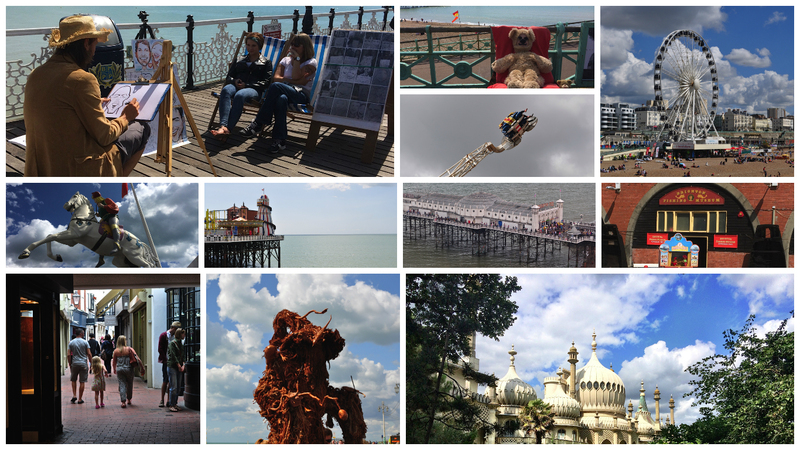 The town we know and love today dates really from the 18th and 19th centuries when Brighton established itself as a health and cultural outpost, a vision which developed post WWII. So, what did I do then? For Star Wars fans, I engaged with Lord Vader, looked closely at some giant public art along the seafront, met a gaggle of birds, took a ride on a roundabout, was reminded of Brighton’s fishing heritage and looked out to sea and the sad remains of the once glorious West Pier. Heading up beach, I watched a Punch and Judy show, watched a wizard levitate, walked around The Lanes, went on the Palace Pier, interacted with a weird human teddy bear, went to a fun fair, took a ride on the Brighton Wheel, ate delicious fresh fish and chips and watched an artist do cartoon sketches of holiday makers. Our day was completed by a visit to Brighton’s famous Royal Pavilion (glorious) and taking afternoon tea at The Grand. All in all, a very traditional beach side experience – all contained within a few minutes walk of the beach – and having booked my parking in advance online for a pittance – had a great day out. Recommended.